We’re very grateful to our friends at Project Water for their generous donation of cases of water! 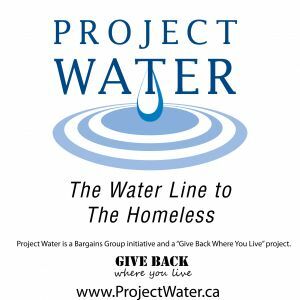 On July 9th, 2014 (with delivery help from The Good Neighbours Club) we will receive bottled water that we can give to clients. Homeless people seldom have a cool place nearby where they can escape oppressive heat & humidity. The elderly and those with chronic illnesses are also at increased risk. Studies have shown that in Toronto, more people die each year due to heat-related causes than due to cold.